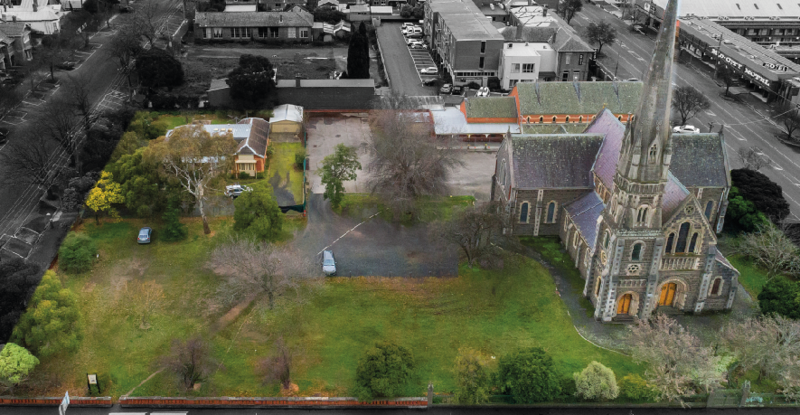 ​Earlier in 2018, Macneil Group secured the right to purchase the St Andrew’s site (also known as St Andrew’s Kirk) from the Uniting Church on behalf of its congregation. Macneil Group is now embarking on a Masterplan process to guide the future use and development of the site. The Macneil Group is a Ballarat-based commercial builder and developer with a strong track record of developing new properties and adapting older buildings in the Ballarat region. The Macneil Group is renowned for an ability to blend a style that compliments a building’s heritage context with modern architectural design. Where is the St Andrew’s site? The St Andrew’s site is located at 502 Sturt Street and is bounded by Dawson Street to the east, Sturt Street to the south and Lyons Street to the west. The site consists of a church (south-east corner); Sunday school building (north-east corner); Manse (north-west corner) and a fence which surrounds the street facing edges of the site. Macneil Group will consult with all stakeholders including the church congregation, Heritage Victoria, the community, Council and local businesses to develop a Masterplan. The Masterplan will investigate opportunities to repurpose the existing heritage buildings and the potential for further development that will respect the significance of the site and surrounding areas. This Masterplan will provide the framework upon which informed decisions can be made regarding any future development of the site, in particular it will inform key decision makers, Council and Heritage Victoria about the buildings and / or structures to be repurposed and retained but also the design, location, height and setback of any new buildings. ​How will the sites heritage significance be protected and enhanced? 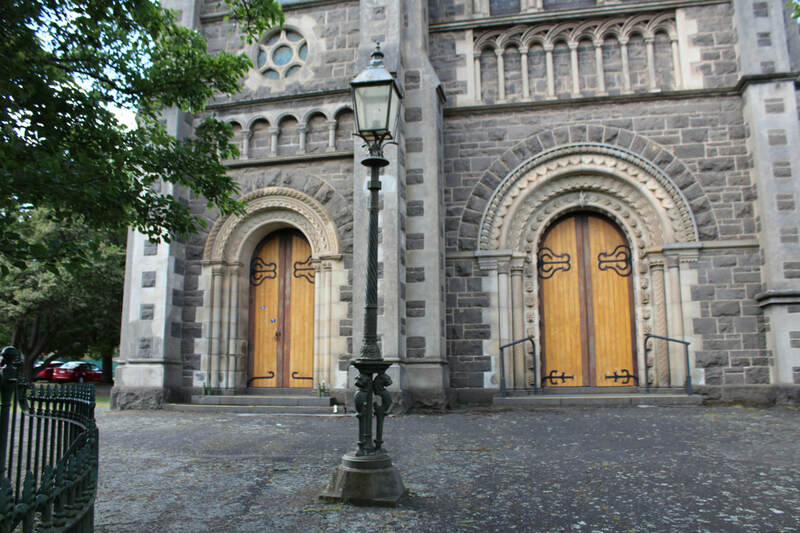 St Andrew’s Uniting Church is of architectural, historical and aesthetic significance to the State of Victoria, and as such is included on the Victorian Heritage Register (VHR). Macneil Group is committed to consulting with Heritage Victoria for an appropriate outcome for this site. 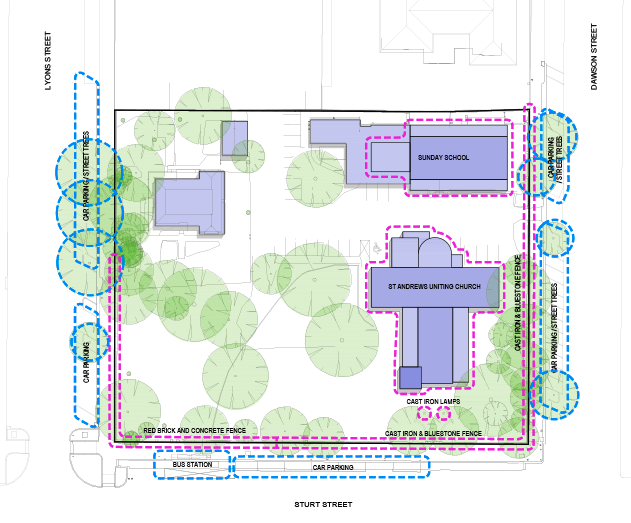 The VHR references the Church, Sunday School and perimeter fence for special consideration in any redevelopment of the site. (see Figure 1.0). Figure 1.0 identifies the site features specifically referenced by the VHR. Macneil Group is committed to consulting with all key stakeholders to ensure an excellent outcome for the site that reflects the history and adaptability of Ballarat. We want to understand what you love about the St Andrew’s Uniting Church site and what you think defines the site and surrounding areas. 3. ​Please indicate the importance of the following issues or considerations for the future planning of the St Andrew’s site? ​4. What uses do you imagine for the future of this site? Would you like to ask any other questions?